When The Mint Museum opened its doors in 1936, North Carolina native Eugene Thomason was perhaps the most significant artist working in Charlotte, and one of the region’s strongest advocates for contemporary art. As a young man, Thomason’s art caught the eye of industrialist James B. Duke, who sponsored his studies at the Art Students League in New York. For the next four decades, first in Charlotte and later in the foothills of the Blue Ridge Mountains in Nebo (about 90 miles northwest of Charlotte), Thomason worked in the vigorous, rough-hewn style he had adopted in New York to depict subjects ranging from the local landscape to his friends and acquaintances. 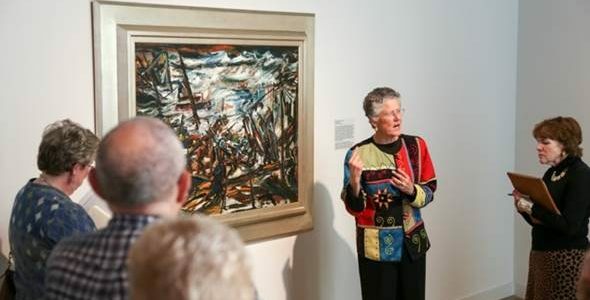 From New York to Nebo: The Artistic Journey of Eugene Thomason is organized by The Johnson Collection, one of the most comprehensive collections of Southern art in the world. Noted expert on Southern art Martha Severens selected approximately three dozen paintings spanning Thomason’s career for the show at Mint Museum Uptown, and will visit for a public event on January 27 at Mint Museum Uptown. The exhibition, which has toured three other Southern museums before concluding its run at the Mint, remains on view from November 21, 2015 through March 27, 2016. Members of the media are invited to preview the exhibition during a special tour at 9:45 a.m. on Thursday November 19 at Mint Museum Uptown at Levine Center for the Arts, 500 South Tryon Street. The exhibition is presented in Charlotte by the Duke Energy Foundation. It is accompanied by a fully illustrated publication authored by Severens and co-published by the University of South Carolina Press and The Johnson Collection. It is available in the Mint Museum Shops for $34.95. Also on November 21 at Mint Museum Uptown, the Mint will celebrate its permanent collection of European art with Modern Musings: European Works on Paper , on view alongside From New York to Nebo through March 27, 2016. The Mint Museum owns more than 1,000 works on paper created by European artists. Approximately 30 highlights from this collection, all created between roughly 1850 and 1950, will be featured. During this period, European art underwent a series of dramatic changes as artists shifted their focus from an emphasis on naturalism and academic techniques to works characterized by a more subjective response to the natural world. 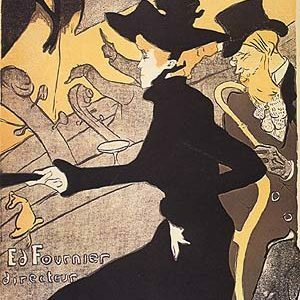 Artists represented include Henri de Toulouse-Lautrec, Amedeo Modigliani, Käthe Kollwitz, Giorgio de Chirico, and Edvard Munch. The new exhibition and installation will be accompanied by a full slate of special activities for museum members; tours by curators and docents; Sunday Fun Days; Taste of the Mint culinary experiences; visiting guest speakers; NexGen events for ages 14-18; and more. See mintmuseum.org/happenings for details on public events. Admission to From New York to Nebo is subject to additional special exhibition fees, which also grant admission to the special exhibition VIVA MOSCHINO! at Mint Museum Uptown. The Mint Museum, long regarded as holding one of the country’s most comprehensive collections of eighteenth-century British ceramics, is about to celebrate the first major reinstallation of that collection in nearly four decades with the opening of Portals to the Past: British Ceramics 1675-1825 at Mint Museum Randolph on January 16, 2016. The ongoing exhibition will stay on view for approximately two years, with additional objects rotating in over time. Members of the media are invited to preview the exhibition with a special tour at 10 a.m. on Thursday, January 14. Portals to the Past is accompanied by a 270-page new scholarly publication, British Ceramics 1675-1825: The Mint Museum, published by the museum in collaboration with D. Giles Limited, London. It will be available mid-December in the Mint Museum Shops for $79.95 hardcover and $54.95 softcover. Both the exhibition and catalogue are made possibly by the Delhom Service League, ceramics affiliate of The Mint Museum. Additional exhibition support was generously provided by Moore & Van Allen. As the Portals exhibition demonstrates, historical objects can reveal much about the people who once owned them and the culture in which they were produced: the popular foods and beverages of the day and how they were served; the prevailing styles of the period; even which public figures were especially admired. These and other aspects of life in eighteenth-century England are explored in this reinterpretation of the Mint’s collection of British pottery and porcelain, which presents more than 225 highlights, including many objects that have never before been on view, as well as contemporaneous works of art from the Mint’s holdings in British paintings, fashion, silver, and works on paper. Both the catalogue and the installation honor the 50th anniversary of the museum’s purchase of the Delhom Collection of British and European ceramics, and the 40th anniversary of the incorporation of the Delhom Service League. “Ms. M. Mellanay Delhom, who assembled the majority of this collection and was fierce about her collection being kept intact, would be so proud of seeing it in its new location along with the many other historic pieces that have been in storage because of the lack of exhibition space,” said Bernie Bowen, president of the Delhom Service League. Coinciding with Portals, the museum will also unveil Contemporary British Ceramics: The Grainer Collection at Mint Museum Randolph. This survey of contemporary British studio ceramics also goes on view January 16 and will remain as an ongoing installation. Focused on the collection of Diane and Marc Grainer, active members of the Mint affiliate the Founders’ Circle Ltd., it contains functional and sculptural objects made between the 1980s and today, by artists either born or residing in Great Britain. Represented are such “contemporary classics” as Gordon Baldwin and Rupert Spira along with cutting-edge ceramicists such as Julian Stair and Kate Malone. Members of the media may RSVP to either the November or January media previews by contacting leigh.dyer@mintmuseum.org. Nebo curator Martha Severens will be onsite and available for in-person interviews on Monday, November 23, if desired. High resolution images available upon request. Above image: Eugene Healan Thomason (American, 1895-1972). Three Red Roses, 1968, oil on masonite. The Johnson Collection, Spartanburg, South Carolina.